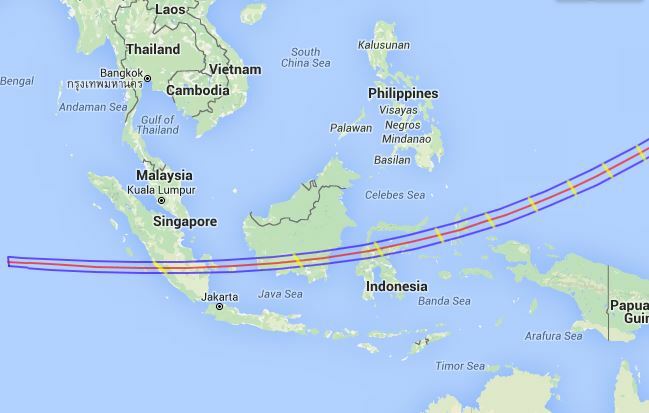 On Wednesday March 09, 2016 a total solar eclipse will occur visible across Indonesia and the Pacific Ocean. 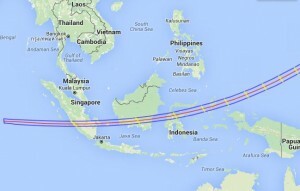 The partial phase of the eclipse can be observed across a larger area of the globe including Malaysia, The Philappines, Thailand, The Pacific and Hawaii. The small animation below shows how the moon’s shadow will race across these areas.